What Is the Purpose of the Pallet Racking Garment Hanging? 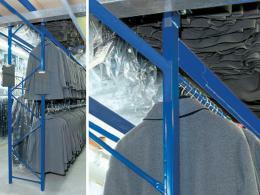 Manufactured right here in the EU, this pallet racking garment hanging system is designed to be robust and sturdy. 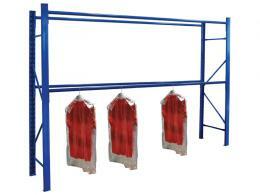 It supports the garments on a rack that is designed to be industrial in strength. Garments have two adjustable heights from which they can be suspended from. The weight limits of this pallet racking are up to 50kg per lineal metre so you can suspend any type of garment you need with confidence. 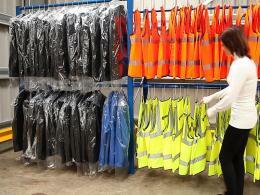 The pallet racking garment hanging works as a solution for the warehouse with thousands of garments to store. It also works perfectly as a stock room for retail or even a display hanger for industrial clothing lines. The frames come in a range of heights from 2100 – 3000mm to suit the type of garments you’ll suspend. The nature of the frame allows access to the garments from either side, a feature that is fantastic for the warehouse and stock rooms. Safely stow away garments on this sturdy steel frame that has been powder coated to withstand rust and decay. As mentioned, it works on the showroom floor, the stockroom for retail shops and even in mammoth sized warehouses. The garment hanging racks are simple to assemble and entirely customizable to meet your hanging needs. The frames themselves are already assembled so they can be in use in minutes. 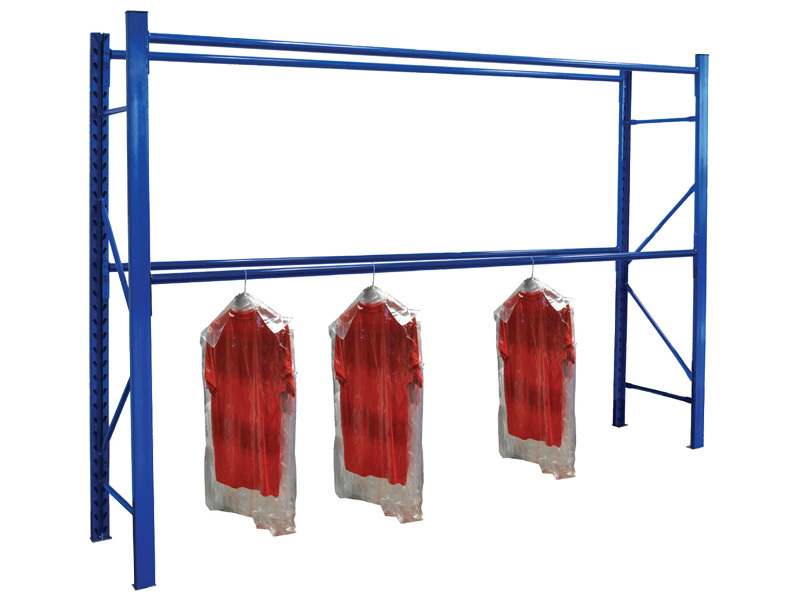 For clothing factory workers or fulfilment centres that store large numbers of clothing items, these garment racks make life easier. The inventory worker and the warehouse employee will appreciate the facilities of the customized heights and simple assembly. You can buy this product with the confidence that we will match any advertised price on the same product anywhere else. Frame sizes start at 2100mm high and go to 3000mm in height. Garments are suspended on powder coated steel beams that support up to 50kg per meter. Choose a starter bay or an extension to an existing system online. Each rack comes with all the accessories and parts needed to function. Depths of 447 and 622mm for different sized garments. This robust system comes with the full protection of a Workplace Depot 12 month warranty on all parts and labour.